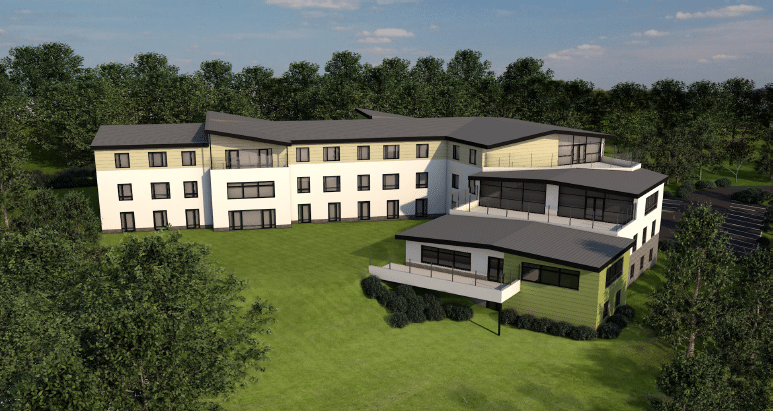 A closed care home is to be redeveloped into a state of the art facility following a deal brokered by Christie & Co.
Macc Care, which operates six services in the Birmingham and Wolverhampton area, acquired the Sister Dora site in Milford, Staffordshire. The site was originally built as a military hospital in the 1880s before being converted into a care home in the 1970s. Paul Reilly, Director at Christie & Co, who handled the sale, said: “We are very pleased to announce the sale of Sister Dora to Macc Care, as it will be a great addition to their portfolio and we have no doubt they will do a fantastic job in redeveloping the site. “I am sure future residents will be very satisfied with the affluent location of the home, thanks to its proximity to Cannock Chase and the opportunity to observe the outstanding natural beauty and wildlife it offers.